Special Note: I am going to tell this story in 2-parts. The first is about my runs. The sequel will be about hanging out with my amazing team. Game face for 1st run. There’s nothing quite like getting up at 3:30 am to signal the start of a great adventure. 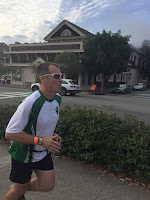 And, that’s precisely what happened on Friday as I headed out to complete the Ragnar Relay Napa Valley. Our official start was 7:30 am but they want there an hour early so this meant rolling towards San Francisco by 5:00 am. We cruised to the city, found the starting line, parked Van 1, and checked in. Once we completed the official stuff it was back to the van to prepare to run. 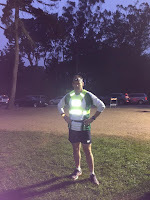 Then, it was back to the starting line to get ready for go time since I was the first runner. Just pass 7:30 we started the final countdown and I was off. My first run was a 2.6 mile route the went through Golden Gate Park, along the Pacific Ocean, up the small hill by the famous Cliff House and finally stopped at a beautiful vista point. I started nice and easy, stayed in my zone, and by the time I put the slap-wrist bracelet on Angela to start her leg I was feeling great. My second run was another short 2.7 miles through Sausalito. I started this leg at 9:14 and once again felt fine as I ran along. A short 25-minutes later I was giving the bracelet to Lorielle as she began her grueling 8.7 mile run. 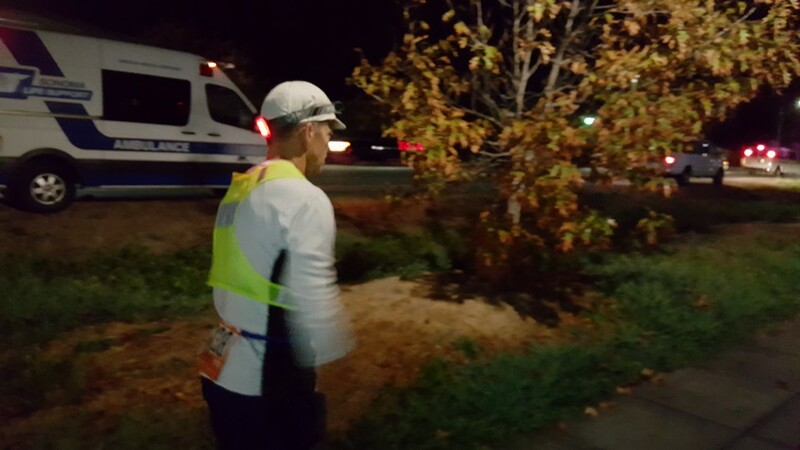 Finally, we were all done with our first 6-legs and we passed the bracelet off to Van 2. We went to get real food before going to exchange 12 to wait for the final Van 2 runner. Then, we were off again. Gina and I had decided to pick up the extra legs for Runner 1 so she got us going this time around. Around 7:15 pm, less than 12-hours from my first run, I started my 3rd run of the event. This was an 8.3 mile jaunt that was by far the longest of the 5 legs I was running. I started out nice and easy one more time and be honest the run was uneventful. I maintained a steady pace and even managed to pass a few people along the way (I was also passed). While the length of this run concerned me, what worried me the most was how I would recover for my final 2 runs. Starting run #4 at 3:50 am. 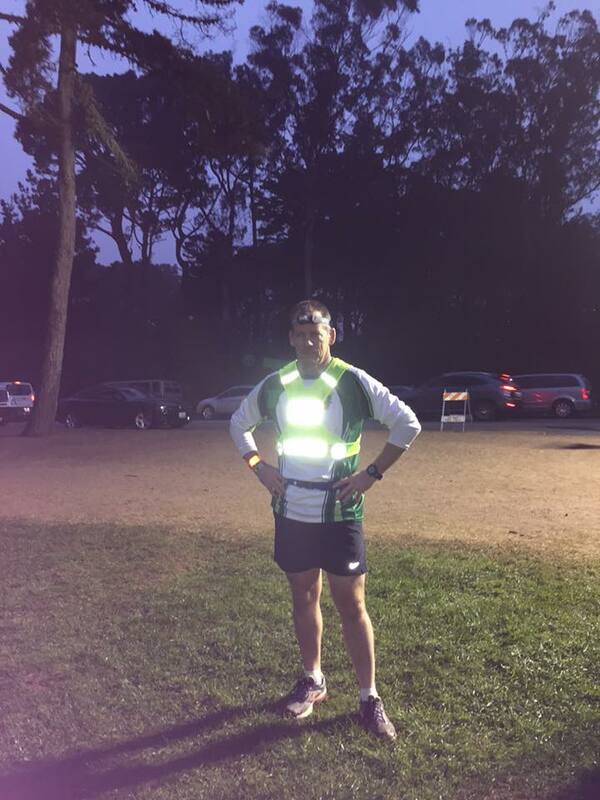 After failing to get any sleep at exchange 24 I was ready for my next run, which began around 3:50 am. This was an easy 3.1 flat route. I once again took it slow however I notice my inside thigh muscle on my right leg was very tight. Fortunately, it loosened up and I finished just fine. This would not be the case for my final run. My 5th and final run, which started at 6:00 am was 3.4 miles and 35 minutes of pain. The thigh muscle never warmed up and every step hurt as I ran almost a full minute per mile slower. Still, I sucked it up, kept running, and finally made to the exchange point where I gratefully passed the bracelet to a teammate for the last time. If you do the math, I finished my final run at 6:35 am. This was a mere 23-hours after I started it all at 7:30 am the day before. That’s 5 runs, covering a total of 20 miles, in 23-hours. In the end it was an amazing adventure made even greater by my awesome teammates. How do I know? We’re already checking for next year’s dates when we all plan to this all over again.